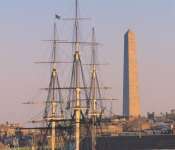 The oldest commissioned warship afloat in the world and still on active duty. It makes one tour of the harbor, "turnaround", every July 4 to remain a commissioned warship. 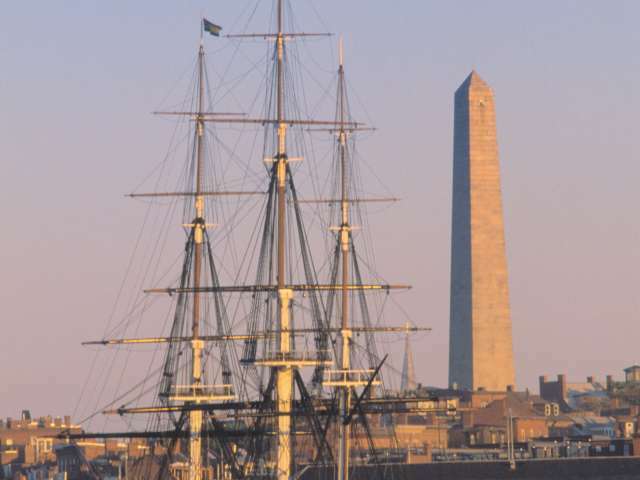 Original Size:7.4 x 11.0 Credit: "Greater Boston Convention & Visitors Bureau." Photos are for use by the press, for promotional materials, for print and the web. Images may not be sold and may not be used on materials for sale without the express written permission from the Greater Boston Convention & Visitors Bureau.